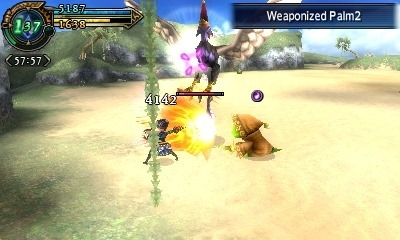 If there is one type of game that will always capture my interest, it is fun handheld RPGs. I adore games where I can just pull out my handheld and grind a few levels, or set some skill points, or tackle a boss while I sit on the bus. 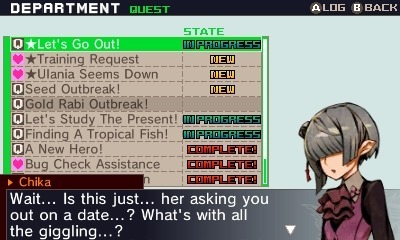 I especially love when these games have funny or clever writing, or a particularly good localization. 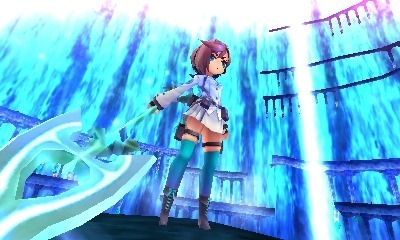 Thus, it should come as no surprise that I ended up playing and enjoying 7th Dragon III: Code VFD. I will start this off by saying that I have never once watched a full episode of Steven Universe, only bits and pieces here and there. I have mostly learned what I know about it from cultural osmosis and friends who are into the show. That being said, I have always admired it from afar as a show that encourages progressive thinking about gender and gay relationships. Thus, I was horrified recently to hear about one of the show’s storyboard artists being chased off of twitter. Those who follow me on twitter will know that I have been screaming nonstop about the game 7th Dragon III for a few weeks now. Part of this is due to the fact that it’s a fun game with fun characters, but a larger part of my love for this game comes from how unbelievably gay it is.